Hello, Danesa here with a wonderful new challenge by NBK-Design, at The Lilypad. Yikes, only 11 weeks before Christmas will be here! Every Monday, join us, as Nicole will provide us with a new 2019 monthly dated calendar template. At the end of the 11 weeks, you will have created a printable and/or digital calendar. These calendars will make great Christmas gifts for your family, friends and co-workers, plus allow you to be organized and ready to leap into the fresh new year of 2019. 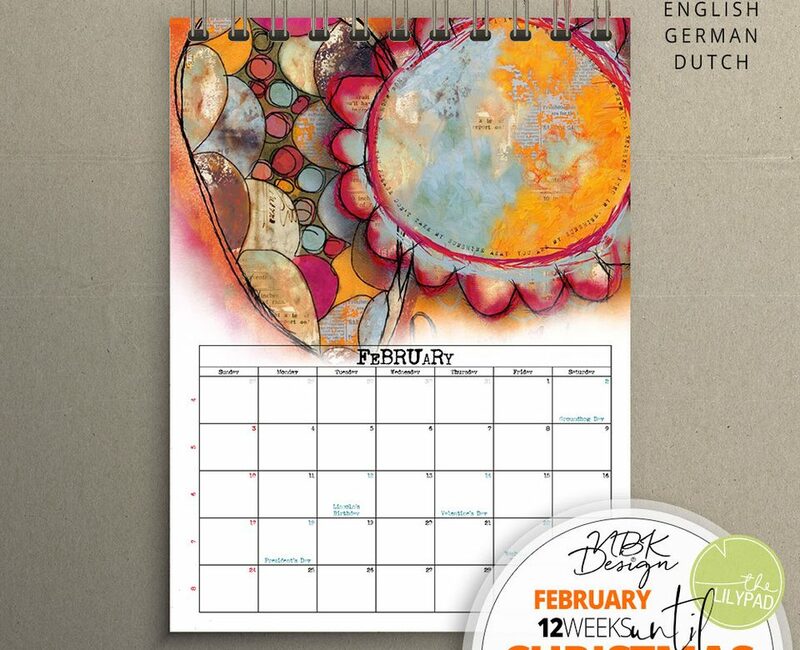 January and February Calendar Templates are now available.